More revelations from the Occupy FOIA request. It remains unclear as to who or what this report is referring to, yet the FBI decided to disclose it under the Freedom of Information Act (FOIA) to the Partnership For Civil Justice Fund – the document is on page 61. 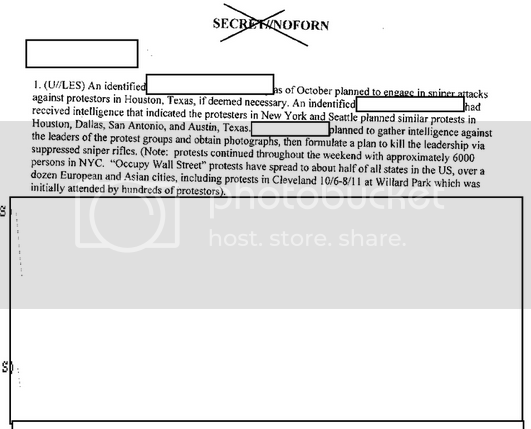 All that is known is that this individual/group was identified by the FBI as having a plan to kill Occupy Protesters. Who was involved? How far did this plot go? Will there be charges?